I’m a big fan of the NFL’s Philadelphia Eagles. I read their website every day, watch all their games and follow the off-season stories. Exactly two years ago the Eagles’ former Head Coach (current Head Coach of the Kansas City Chiefs), Andy Reid, lost his 29 year old son Garrett to a battle with drug addiction. Garrett died on a Monday. Garrett’s funeral was the following Tuesday. And Andy Reid — Garrett’s father — was back to coaching the Eagles THE DAY AFTER the funeral for their first preseason game. I don’t comment on a person’s grief work, so if Andy Reid thinks that going to his job the day after his son’s funeral is the right thing for him and his family, then so be it. Men will often attempt to use work as a way to process their grief. We will also attempt to care for others as a means to process our grief and may neglect our own needs for the sake of one’s family, or — in Andy’s case — his team. So, as I said, I’m not judging Andy’s grief work. But I do want to comment on HOW Reid’s quick return to work is being interpreted by his players. To be able to not show his grief over the tragic death of his son … to be able to hold it down so the team doesn’t see him “like that”, that’s impressive? What? What is Kelce implying? Is he implying that Reid’s “level of manhood” would be in question if the team saw him grieve … if the team saw him cry? Is Kelce implying that manhood equals emotional repression? Yup, I think that’s what Kelce means. And Kelce is implying that showing one’s emotions IS NOT manly and would not be good for other men to see. Seriously? Are our young boys still being taught this crap by their male role models? Let me clear a few things up for Mr. Kelce. 1. While it may be true that men are generally less emotional, manhood is not increased (or decreased) by one’s ability to repress emotion. 2. You may want to be strong when a death occurs, but strength — like manhood — isn’t determined by one’s ability to repress emotion. 3. There is no “manly” way to grieve, so don’t let someone (especially another man) tell you how you should feel or shouldn’t feel. 4. Mourning IS manly IF it’s performed by a man. 5. If you show grief in front of other men, and they judge you or attempt to diminish your mourning, find other company so that you can work through your grief in a more healthy environment. Whether by nature or nurture, men and emotions have a difficult relationship that is farther complicated by a highly complex and uncontrollable experience like death. The bottom line is this: there isn’t a RIGHT or WRONG way for men (or woman or children) to grieve and mourn. But, it is healthy if you can find a place, space and group that can allow you to work through your grief on your own pace. Ideally, look for a group of people who can walk with you through the valley, and if you find that place and those people who can allow you to work through your grief, you are on a healthy path. Grief shared is grief diminished. When an individual dies, that death throws a web of relationships out of balance, causing the mourners to learn how to live in the new normal. That new normal is best found together in community. There is grief that is produced by “death” (both literal and real) in our society that aren’t recognized. This kind of grief is a disenfranchised grief. 2. Death of a pet. Pets become part of the family; and when they die it’s almost like losing a family member, except no one in the community recognizes your loss. “It’s just a dog” is both true and false. 3. Grief from abortions. This topic has become so political that it has lost its human element. Abortions hurt. And the mothers who choose abortions will often grieve. Even if they don’t grieve at the time of the abortion, there is something lost … and that loss can hurt. 6. Grief from the death of an Ex. 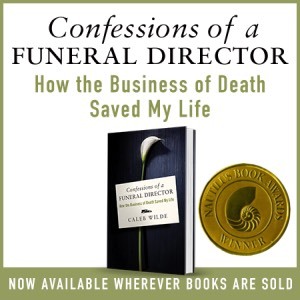 Whether it’s the death of an ex-spouse, ex-lover or ex-boyfriend/girlfriend, if the deceased is the “ex” there’s an assumption that you aren’t allowed to grieve, because that relationship “has already been severed.” Just because someone is an “ex” doesn’t mean that you don’t have the permission to grieve. 7. Grief over a loss that isn’t a person.